He also said he would write to President Buhari soon, declaring that his opposition is predicated on the fact that Buhari is president of Nigeria. In a tell-all account in the current edition of The Interview magazine, Galadima said he was principally responsible for the alliance between the Congress for Progressive Change (CPC) and the Action Congress of Nigeria (ACN), against Buhari’s wishes. 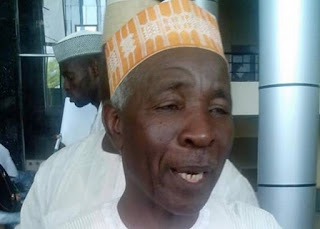 Galadima said: “Buhari was the one against the alliance with Tinubu and I don’t want to say anything. Let Buhari deny what I have said. I was for it and I organised it and wrote a memo that even produced a candidate for the vice presidency, this same Prof Yemi Osinbajo.” Galadima said Buhari may have, in fact, pencilled in another running mate candidate in the Independent National Electoral Commission (INEC) form that was to have been submitted. In a statement, the Managing Director/Editor-In-Chief of The Interview, Azu Ishiekwene, described the Galadima interview as “the stuff of a broken love affair, with no closet details spared.” Using a slogan, ‘Anybody But Buhari (ABB)’, Galadima said he was planning to write an open letter to Buhari very soon, adding that the president was a “floored candidate” who will lose his deposit if he contests re-election. In the same edition, the Executive President of Women in Africa, Hafsat Abiola-Costello, said she suspects the autopsy conducted on her father, MKO Abiola, was inconclusive, because “not all poisons can be traced”, lending credence to suspicions that the winner of the June 12, 1993 presidential election may have been poisoned in detention.